Jagatpura: An upcoming location in the south-eastern part of Jaipur is Jagatpura. The location of Jagatpura is well-planned. It is located very close to Sanganer Airport and railway station. Many educational institutions are being set up here. With Reliance Medicity, Bombay Hospital, Apex, Narayan Hridayalaya being planned for development in this location, Jagatpura will soon be a hub for good medical facilities. There also has been reports of appreciable market traction in this area and various residential projects in Jaipur have witnessed a price increase of approximately 10-14% in last one year. Proposed ring road, metro rail are another highlights of this location. Tonk Road: Another well developed location where you will find ready to move in flats in Jaipur is the area around the Tonk Road. This road is well planned and runs parallel to the Jagatpura micro-market. This location is in proximity with the central part of the city. A number of residential projects and properties in Jaipur are being developed here. 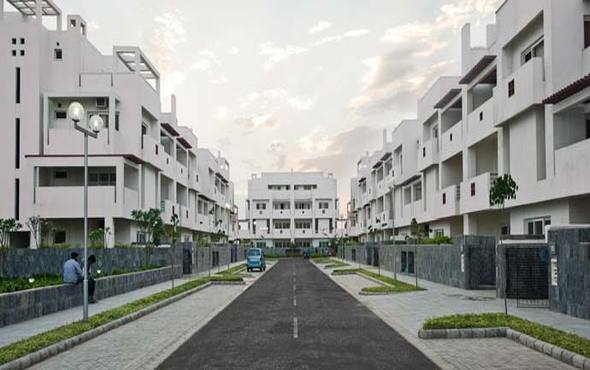 Malviya Nagar: The real estate in Jaipur will be incomplete without mentioning Malviya Nagar. This is a prime property location in the southern part of Jaipur. This location shows a perfect amalgamation of commercial, retail and residential development. The region has a number of schools, hospitals, malls and multiplexes, International airport terminal 2 in close proximity, that makes it one of the most desirable locations for properties in Jaipur. Adarsh Nagar: This is another prime location in Jaipur, just 3 km towards the east of Jaipur city centre. The area has good residential and commercial development and also has good road connectivity with other parts of the city. Vaishali Nagar: An affluent location in west Jaipur is Vaishali Nagar. This area has been witnessing both residential and retail and commercial development. There are malls, multiplexes, restaurants, including banks and telecom sector offices in this location. The most premium colony of Vaishali Nagar is Nemisagar. This entry was posted in Real Estate Jaipur and tagged properties in Jaipur, ready to move in flats, real estate in Jaipur, residential projects in Jaipur on November 9, 2014 by Admin. There is one more location which is missing here in your list that is Ajmer Expressway. It covers all above location and cosidered one of the best location in jaipur connects directly to railway station, bus station and airport.